Prior to my arrival at CenTrak four years ago, my career included 15-years of selling full-line diagnostic imaging in the radiology space. That being said, I am no stranger to working on a trade show floor. Having attended over a dozen RSNA (Radiological Society of North America) shows at the McCormick Center in cold Chicago, I was really looking forward to my fourth HIMSS, which was being held in sunny Las Vegas. Compared to my first HIMSS, the one thing that stands out is that Real-Time Location Services (RTLS) is a technology that is now widely understood and accepted. Adoption of the technology is not a matter of if a healthcare organization will purchase a system, but when. Most of the conversations this year began with how we deploy our granular location data compared to the claims of other vendors, and how we address more specific locating and workflow issues. Discussions revolved around subjects like how customers can utilize RTLS to address hand hygiene compliance concerns or how this Internet of Things (IoT) technology can help customers improve patient flow in both the acute and ambulatory care settings. The interoperability of this IoT technology is starting to drive healthcare IT priorities as these organizations are growing more concerned about tracking patient interactions and using this data to improve current workflows and improving the overall patient experience. This is the next logical step in RTLS after an organization has succeeded in driving efficiencies in areas such as asset tracking and management, environmental monitoring or nurse call automation. Healthcare organizations are beginning to magnify their scope and expand to the Enterprise Location Services™ model utilizing numerous use cases simultaneously at a single site to improve efficiency and the quality of patient care. There is no correct order for deployment, but once the infrastructure for locating is installed, adding on additional workflows becomes much easier. Healthcare has been living in a patient-centric environment where satisfaction is becoming more and more of a priority. Analytics and outcomes are now the prevailing stories. The increase in attendance at HIMSS is perhaps synonymous with the increase in the quantity of data each institution is trying to evaluate. 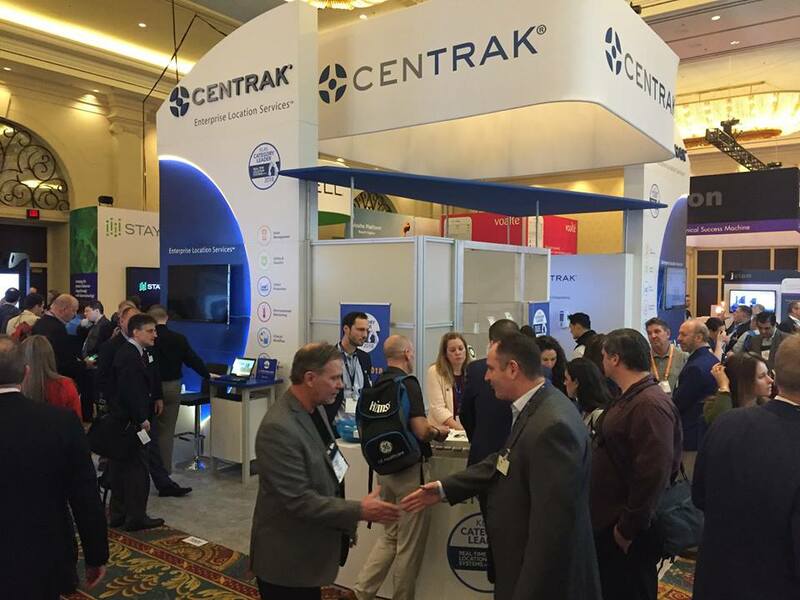 Vendor after vendor, booth after booth, those on the showroom floor are working hard to help healthcare organizations address efficiency, cost and care quality issues.